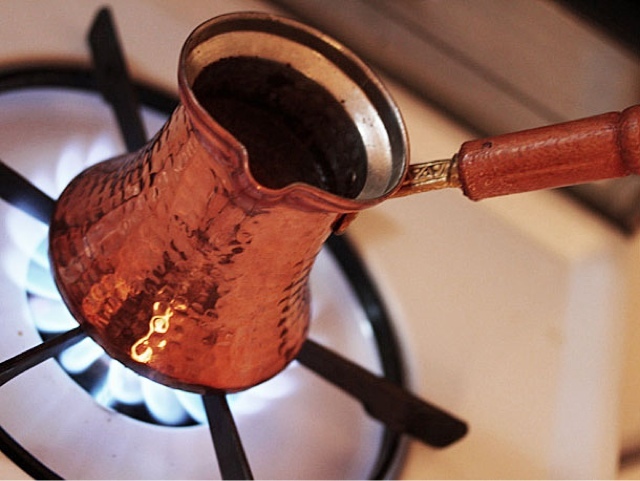 "Perhaps the most distinct characteristic, then, of Turkish coffee is its intensity. The filterless method of brewing combined with exceptionally fine grind produces a cup that's dark and brooding and, well, sludgy. Yet it's the sludge that contributes to the particular body and texture of the Turkish preparation, which, when prepared with the addition of sugar and spice, result in an inarguably unique drink."